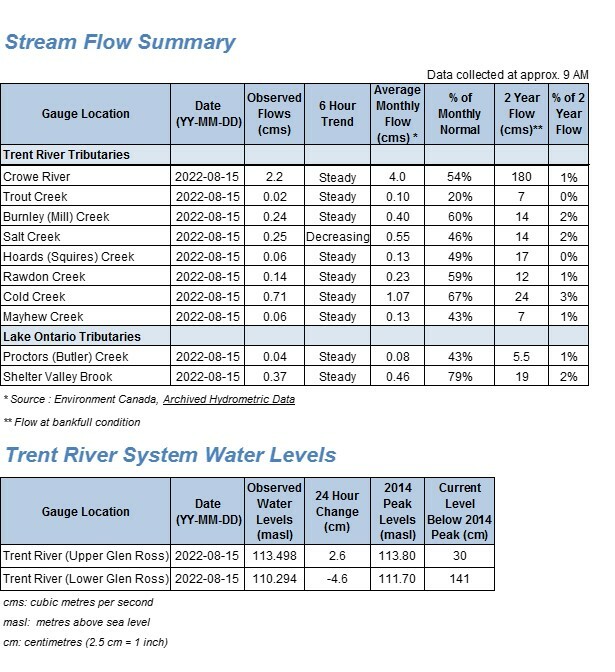 Lower Trent Conservation: Flood Protection - Flood Forecasting & Warning - Current Conditions - Watershed management, conservation areas, policy information, & contacts. Provisional data: The data provided on this page is in its raw form and has not been checked for errors/omissions. Anyone using this data is cautioned to carefully consider the provisional nature of this information and should not use it for making decisions that concern personal or public safety. Lower Trent Conservation and its employees accept no responsibility for any loss, damage, injury, or loss in value to any person, property, service or otherwise, resulting from its use.